World of Warcraft is getting its very own magazine, with Blizzard signing a deal with Future Publishing to bring out a quarterly look into the world of Azeroth. WoW has revolutionised gaming and MMOs since its arrival in 2004, with more than 11.5 million subscribers forking over a monthly fee to participate in the rolling fantasy adventure. The level of enthusiasm for the world and its inhabitants is still sky high – and that has now brought about a global quarterly magazine – from the same publishers who bring you TechRadar. 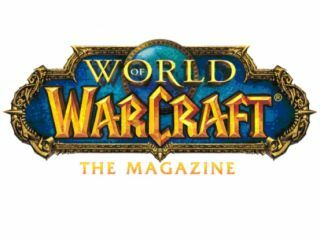 Paul Sams, Chief Operating Officer of Blizzard Entertainment, said: "Future produces some of the most respected gaming magazines in the industry, and we're pleased to be working closely with them to make World of Warcraft: The Magazine a true standout product. "Together, we look forward to offering World of Warcraft players a great mix of entertaining and insightful content in every issue." Launching simultaneously in English, French, German, and Spanish editions, the new magazine will be available via subscription only, sold through World of Warcraft Account Management or direct from www.worldofwarcraftthemagazine.com (which launches at 9.00PST/17.00GMT on August 21). The magazine is available as a one or two-year subscription, pricing for one year is $39.95 in the US and €34.95 or £29.95 in Europe- two year subscription packages cost $69.95 in the US, €61.25 or £52.50. Julian Rignall, Editorial Director of World of Warcraft: The Magazine, added: "We're bringing together an international team of player-writer experts to create in-depth articles about World of Warcraft's design, art, lore and community, as well as all aspects of its gameplay. "It's really important that our magazine articulates multiple player perspectives, so that the editorial offers balanced – and sometimes even opposing – points of view on winning strategies and tactics."